Get in touch with Julie! JULIE STEVENS offers Reiki sessions & Reiki classes. She is a licensed spiritual healer, Certified Transformation Oracle Reader and Certified Raindrop Technique Specialist. Get a Reading with Julie! Please call (719) 368-0594 or click here to email Julie for an appointment. 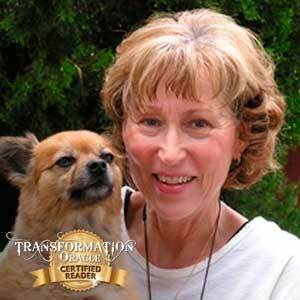 "I loved the one-on-one training I received from Sonya! Our class was just the right size & we were able to learn, practice & grow with each other. Intuition, insight, 'Ah-Ha's!" Explore Julie’s readings: Leaving Mom to Live with Dad.